Published on March 09, 2017 . Published on January 25, 2017 . Published on October 05, 2016 . It always amazes us that our existing clients and prospective clients rarely, if ever, ask tough questions of us, or of any other financial advisor they may be considering to help plan their financial future. The average investor seems to be willing to spend hours planning a vacation or negotiating the price of a new car, but when choosing a financial advisor, most throw their investigative posture out the window and just go off of a “hunch” or ”feeling” that they get when they meet with their prospective advisor. To be sure, trusting one’s gut is essential in any long-term decision-making process—but it also helps to do a little homework and ask some important and revealing questions that, in addition to a hunch or feeling, can set the stage for a mutually beneficial long-term relationship between you and your advisor. Here is a checklist of questions that any competent and reputable advisor should be able to answer without hesitation. Don’t be afraid to ask them. 2) What is your experience? There is a bewildering number of licenses, certifications, degrees, and credentials in the investment industry. It is important to know the differences between those that signify professional excellence and those that do not. 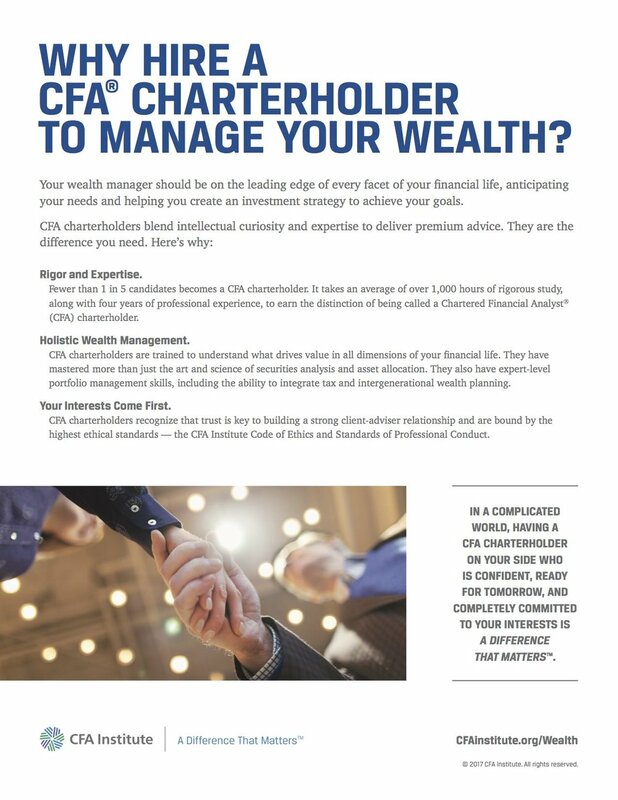 For example, it would be easy to confuse the designation of CFA (Chartered Financial Analyst) with that of CRFA (Certified Retirement Financial Advisor). The CFA designation, however, requires more than 900 hours of study in “accounting, economics, ethics, finance, and mathematics, and only 42% of candidates pass its three required exams, a process that can take several years.” By contrast, the CFRA designation “requires that students pass one exam consisting of 100 multiple-choice questions, for which 40 to 75 hours of preparation is typically sufficient preparation” (http://on.wsj.com/1L3L2B2). This article from The Wall Street Journal gives a rundown of the most common designations (http://on.wsj.com/1QnFr7K). According to CNN Money, the designations that you should look for in your team are CFA and/or CFP (http://cnnmon.ie/1Q5hXUn). 3) What is your strategy and philosophy, specifically? Understanding an advisor’s investment strategy and philosophy will help you determine whether they can meet your objectives in seeking financial advice. 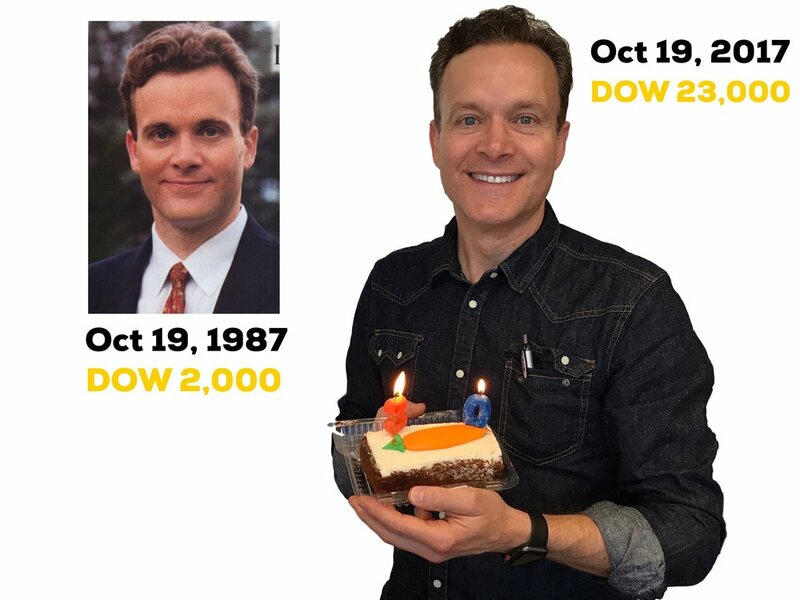 If an advisor specializes in specific products or a strategy that you find hard to understand, you may find yourself in an investment portfolio that does not fit with your long-term goals and expectations. Implicitly, there are two sides to this equation: first, the advisor’s specific strategy and philosophy about investments, selection, time horizon, timing, fees, market outlook, and expectations, and secondly, an understanding of your own investment objectives and expectations and whether the advisor is well-suited to meet them. 4) How will you communicate with me? It is of great importance to recognize that a good advisor will be an in-demand and busy professional, but also one who will treat your relationship with the highest priority. From the onset of your relationship, an understanding of how often and in what form you expect to hear from your advisor will help establish a set of expectations. How often will the advisor review your plan with you and how often will you meet face-to-face or communicate via phone or email? Knowing your own preferences and whether the advisor can accommodate your needs and expectations is critical in making sure the relationship has longevity. 5) Do you have any disciplinary or regulatory infractions? Ask your prospective advisor whether they have been sanctioned by any regulatory authority, and if they have, what the circumstances were surrounding those sanctions. In light of recent investment frauds, it is of paramount importance to detect any red flags with advisors you are interviewing. Investors can find additional information, including regulatory records, at the SEC’s website (https://www.sec.gov/investor/brokers.htm). 6) Who are the people I can expect to be working with me? What is your succession plan? Most advisors work in teams, so getting to know each member of that team and their role is as important as the advisor who initiates your relationship. Whom will you call when you need to discuss your account, or when you need a check sent to you? Does the advisor have a succession plan, and with whom would you work if your advisor was no longer able to work? Continuity and familiarity with your unique situation are important considerations, especially for elderly clients who rely on their advisor as a financial counselor as much as they do as an investment advisor. 7) How, specifically, are you compensated? Do you get any remuneration from the companies that you use for investments? Advisor fees should be plainly stated and easy to understand. Unfortunately the fees for some investments can be hard to find. Furthermore, some advisors have “soft dollar” arrangements with firms that incentivize them to use particular investments in return for brokerage and research services. Additionally, some advisors are incentivized to use their own firm’s investment offerings where there are indirect compensation considerations. Simply put, you have a right to know exactly how your advisor will be compensated and whether that might affect their impartiality when choosing investments for your account. In which I address the downside of taking your money out of your retirement plan to cover flood expenses. Published on September 01, 2016 . I appear on WAFB TV to remind viewers that, if you have flood damages, you should only use your retirement funds as a last resort. Should you invest in Art, Stamps, or Stocks? Published on January 01, 2016 .